We only just announced our new NurseRecruiter.com Scholarship, and we have already disbursed our first scholarship award! 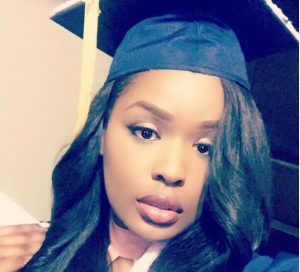 Kassancia Pierre from Metuchen, New Jersey, is the first nursing student to win a NurseRecruiter.com scholarship. She just graduated from Syracuse University with a B.S. in Public Health, and she’ll soon continue her studies at the George Washington University School of Nursing, where she has been admitted to the ABSN program. “I understand the need for more nurses in underserved communities,” she wrote in her application essay, speaking eloquently about her dream of “one day becoming Chief Nursing Officer”. As a nurse, she wants to “be there for patients through their toughest times in life”, as they grapple with “illness, loss, depression, or injury”. Pursuing her career of choice, she argued, “I will be able to influence and touch lives of individuals who come all walks of life”, not least those with a cultural background from the West Indies, “because their health diaspora is something I’m interested in, as a Haitian woman”. Kassancia speaks three languages, served as Treasurer, Vice-President or Communication Chair for several student organizations, and spent years volunteering at the New Jersey Veterans Memorial Nursing Home. Expressing her gratitude for the nurturing example her mother set for her, Kassancia confidently declared that she already embodies the most important qualities a nurse must command: “Fostering relationships, displaying veracity, being reliable and selfless”. At Syracuse University, she wrote, “I’ve learned so much about myself as an individual because I’ve been guided by faculty, as they’ve given me the resources and tools I needed [for] my future career of nursing”. But it’s the internship she did as Clinical Research Fellow at Crouse Health in Syracuse, New York, she describes as “an eye-opening experience”. Her main take-away is about the challenges nurses face — and the changes that are necessary: “All in all, I realize that one of the underlying issues was the low number of nurses the hospital had and how that had a negative impact on the quality of care patients received.” Nurse shortages are causing “higher nurse-to-patient ratios, which create nurse burnout due to the heavy workload” and lacking support. When I do work my way up to the CNO role, I plan on working with nurses, managers, and policy makers to take initiatives to implement better work settings and conditions for nurses, which will not only provide better quality care for patients but ensure that nurses are in the best psychological state as possible. Ambitious goals, but if they are to be achieved, nursing needs people with a strong vision who are determined to make a difference. “On my first day, I eagerly walked into Crouse with a positive state of mind,” Kassancia wrote about her internship. That’s the same spirit she intends to bring to the next step on her journey to becoming a nurse — and it’s that spirit and vision we loved about Kassancia’s application! Are you a talented, motivated future nurse who needs financial support? Tell us your story, apply for a NurseRecruiter.com scholarship now!